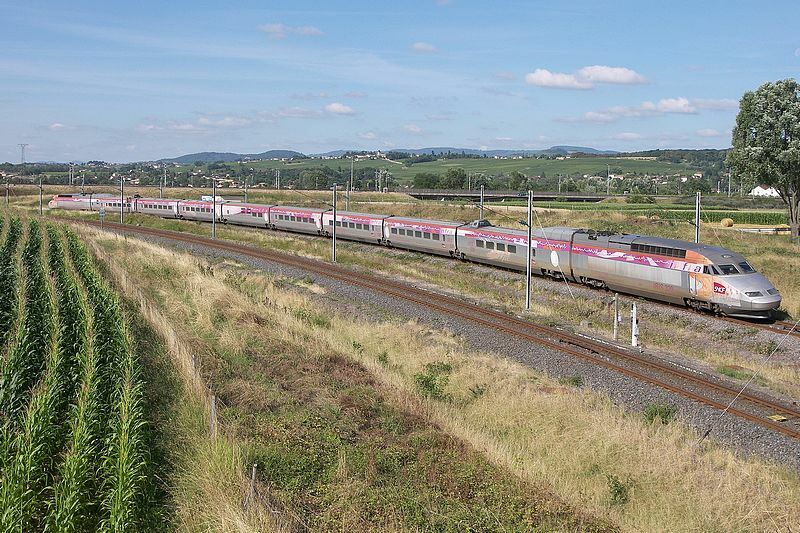 La rame Iris 320 sortant de la LGV Sud-Est au raccordement sud de Mâcon, 22 juillet 2008. 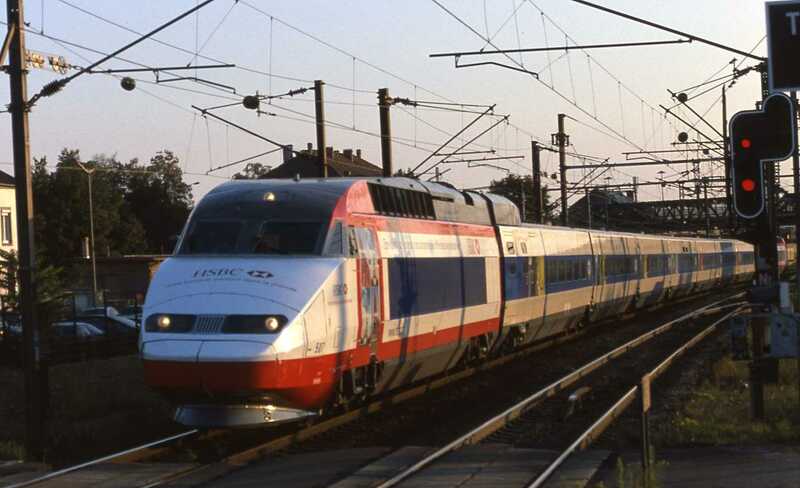 TGV Einfahrt des TGV 505 am Nachmittag des 20. 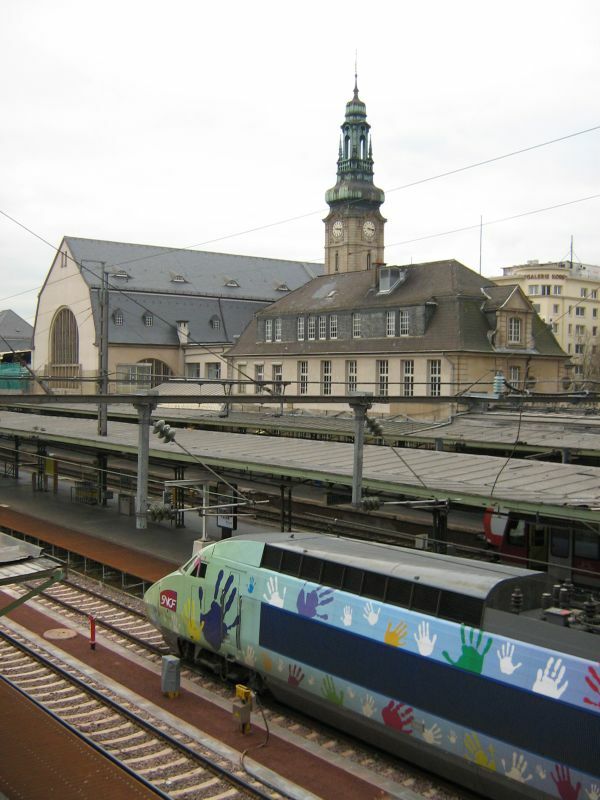 Oktobers 2007 im Bahnhof Colmar - Weiterfahrt Richtung Mulhouse. 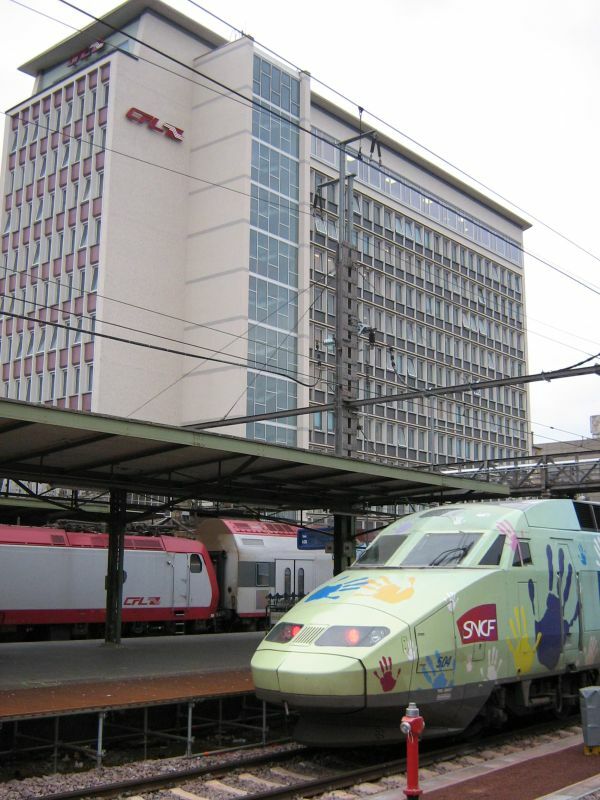 Der ganze Triebzug war mit Werbung für die weltweit tätige Finanzgruppe 'HSBC-Investments' versehen. 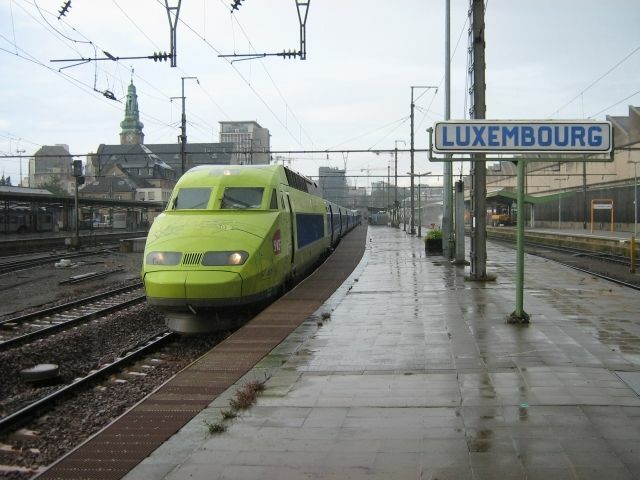 modernized and they came Duplex ? 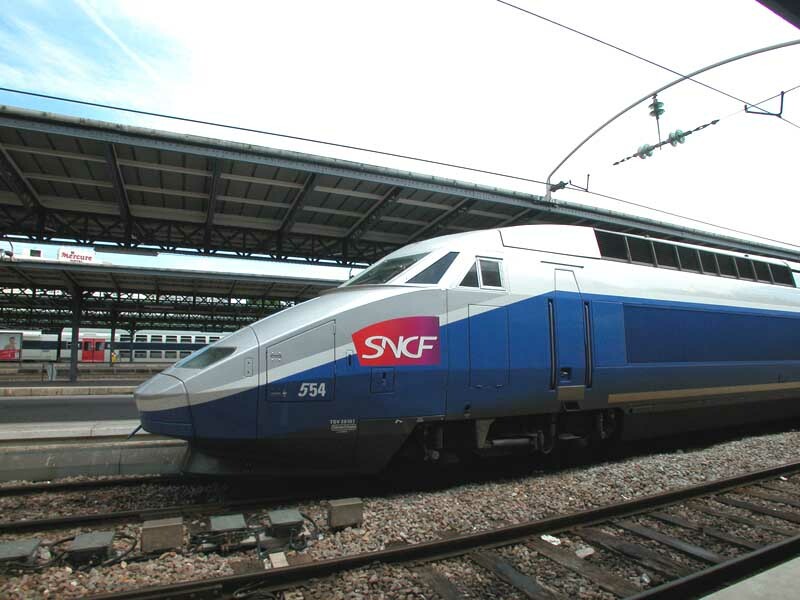 SNCF TGV 28001 (TGV-R 501). 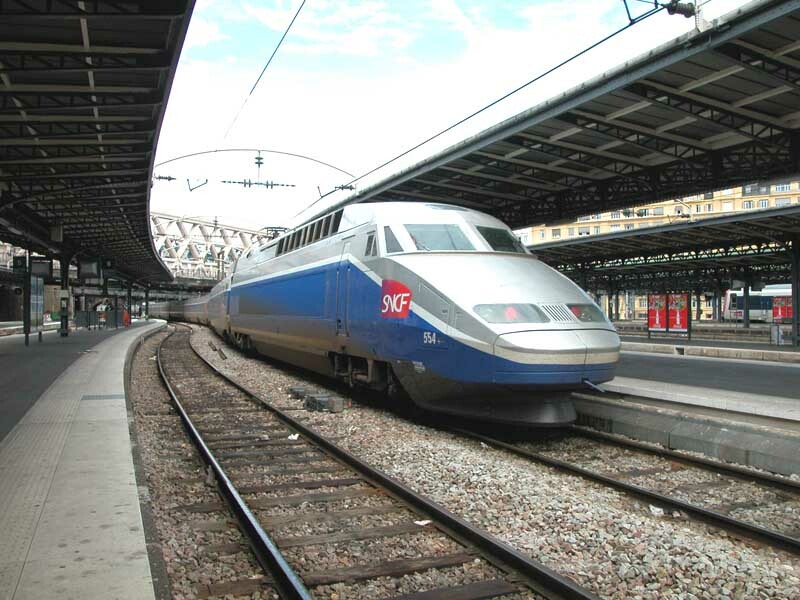 Paris-Est (75), 5/07/2006. 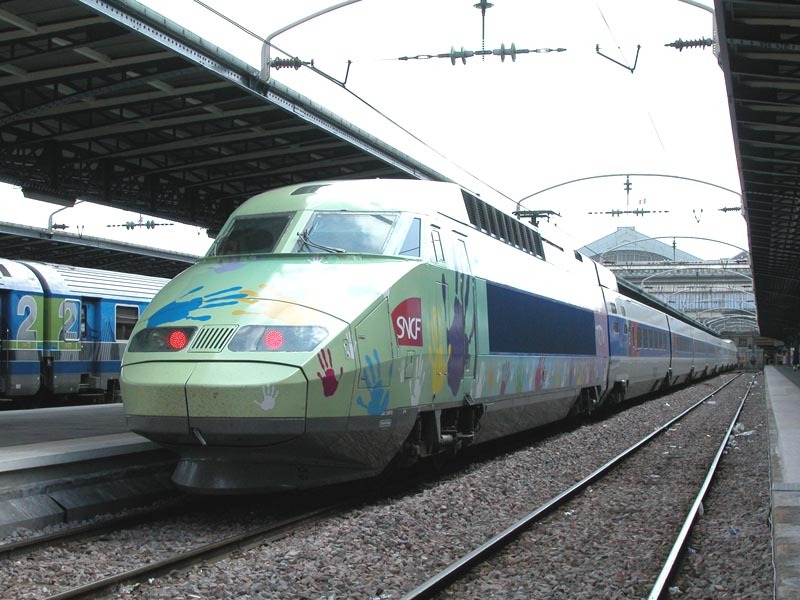 SNCF TGV 28001 (TGV-R n° 501 trainset). 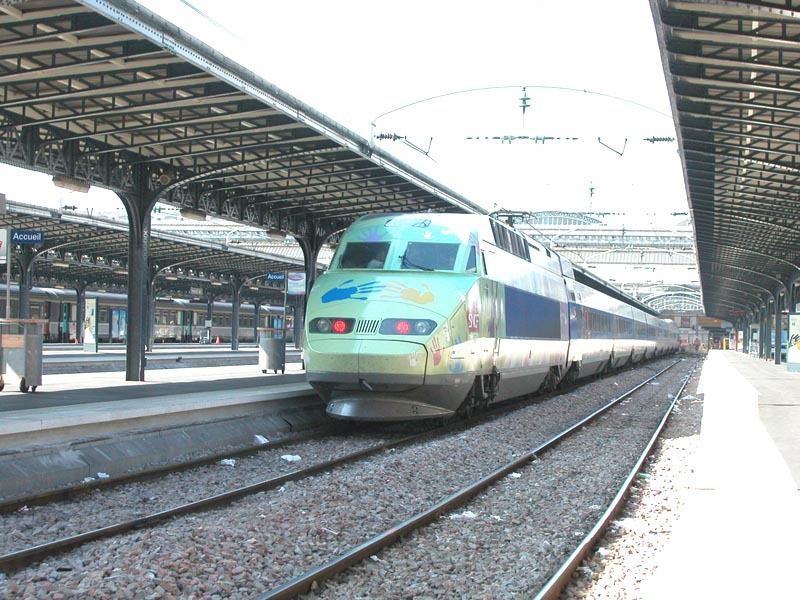 Paris-Est (75), 5/07/2006. 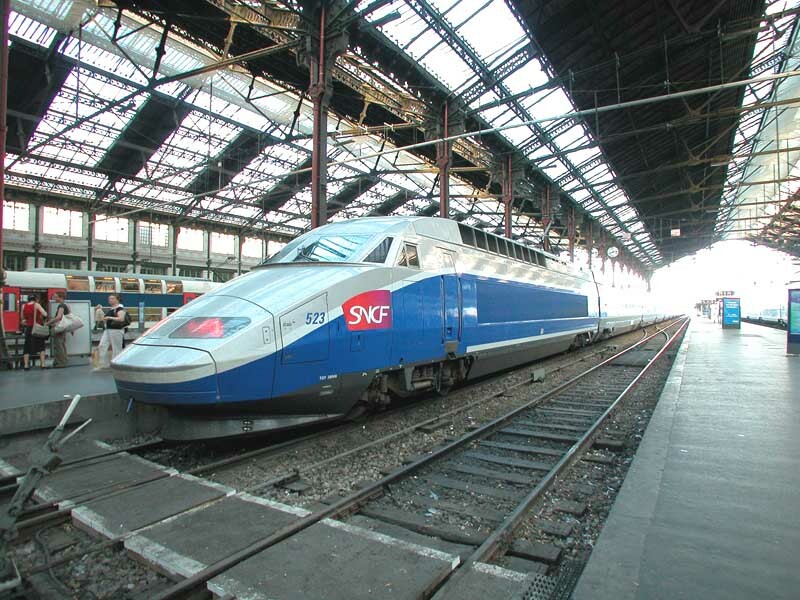 SNCF TGV 28002 (TGV-R 501 trainset). 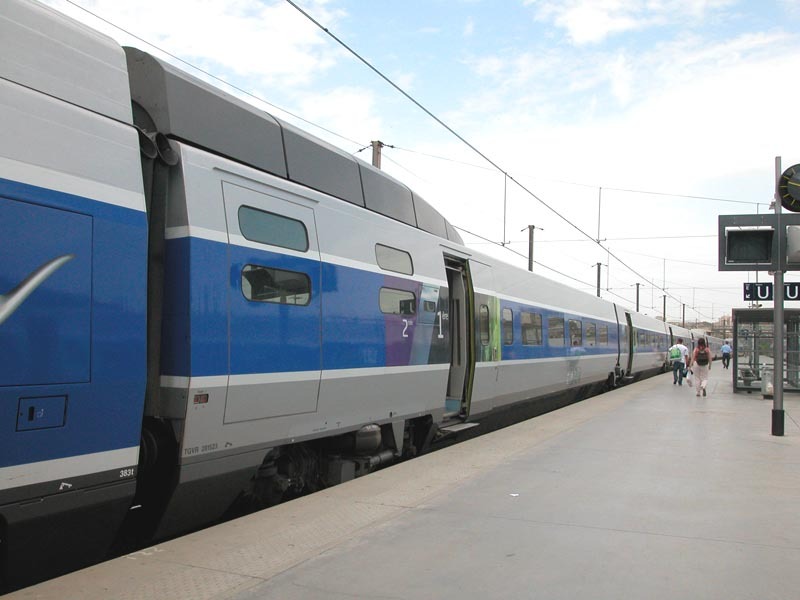 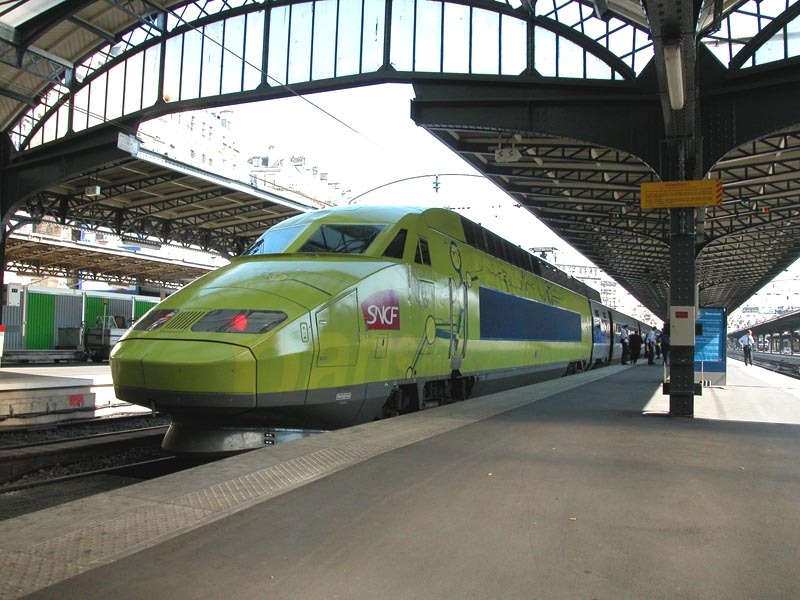 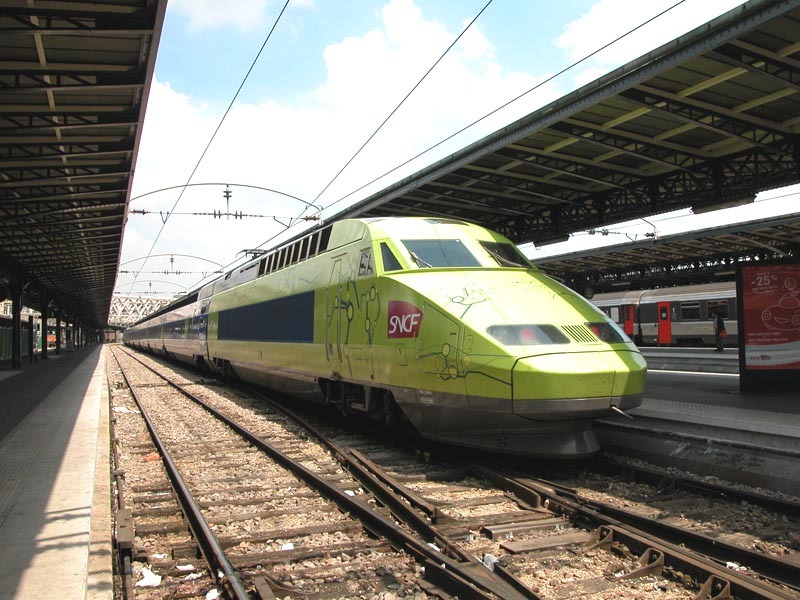 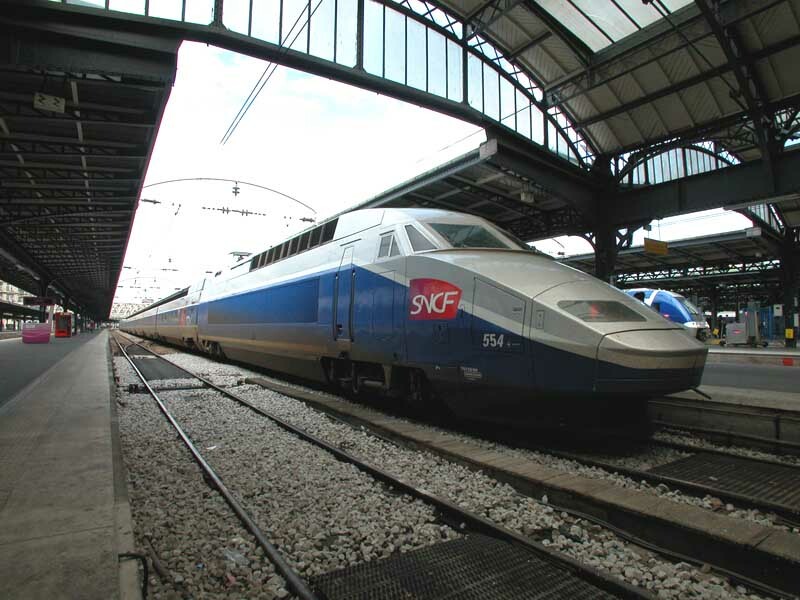 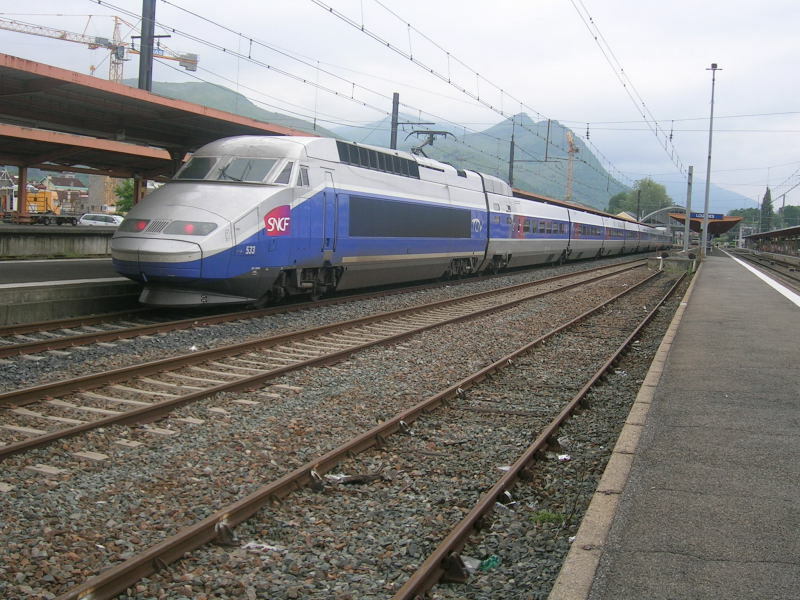 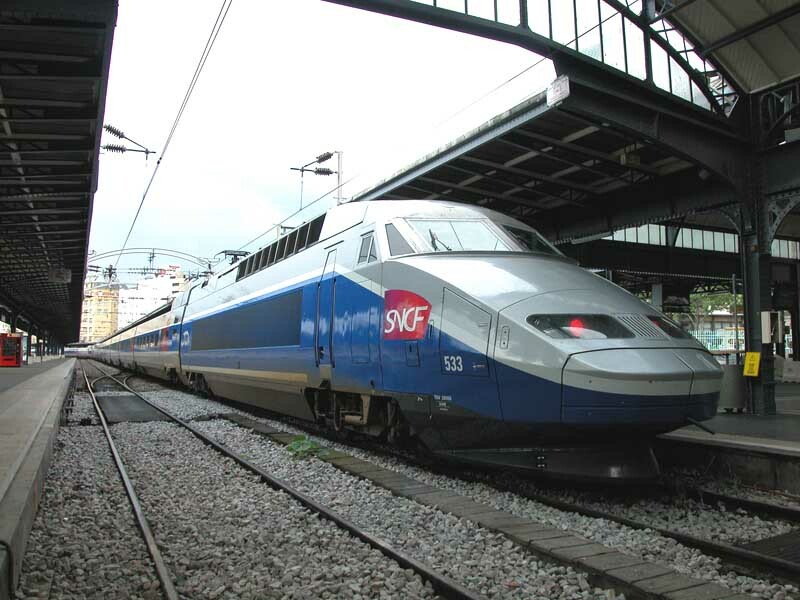 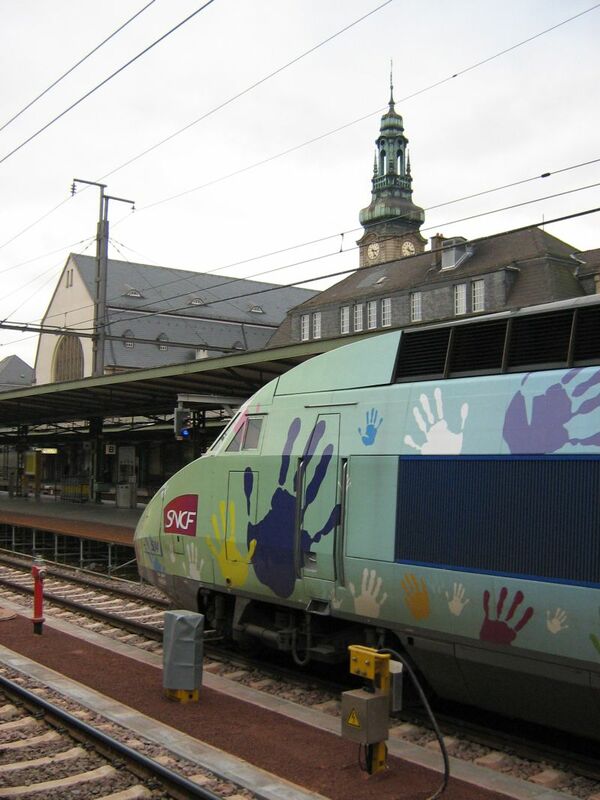 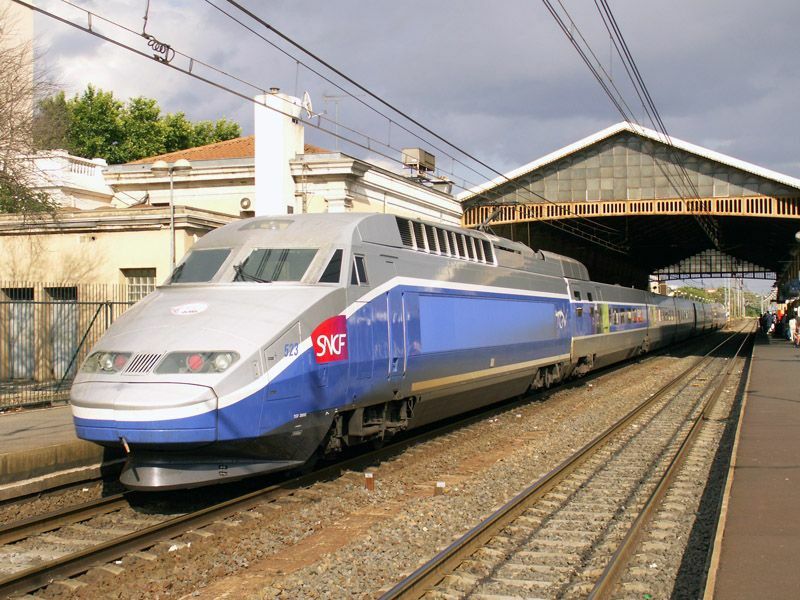 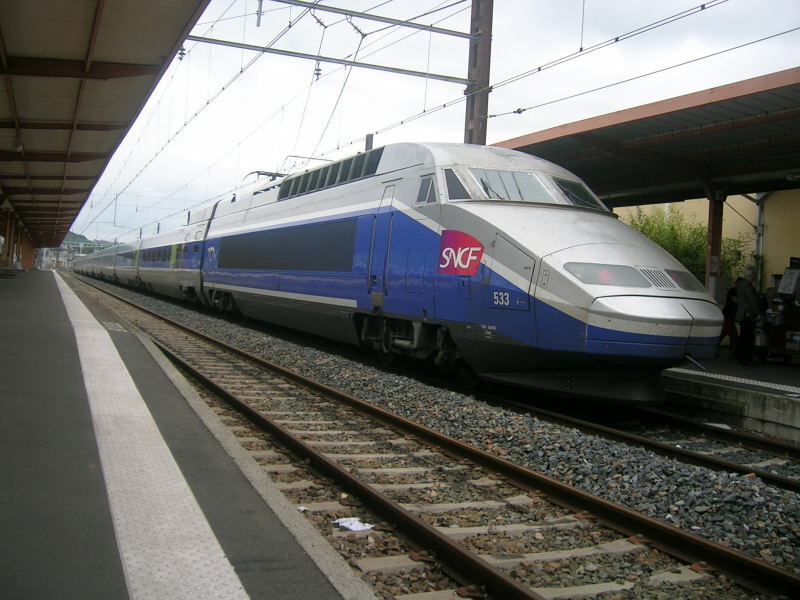 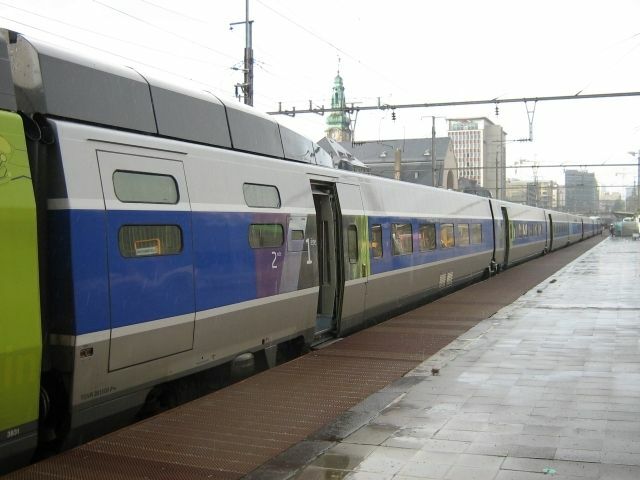 The 26 of June 2006, SNCF start to operate TGV on Paris-Metz-Luxembourg. 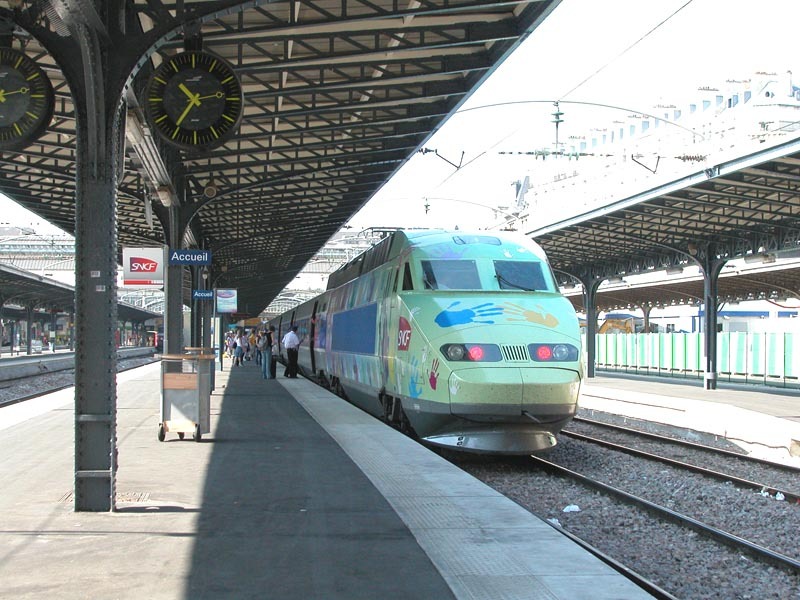 Paris-Est (75), 5/07/2006. 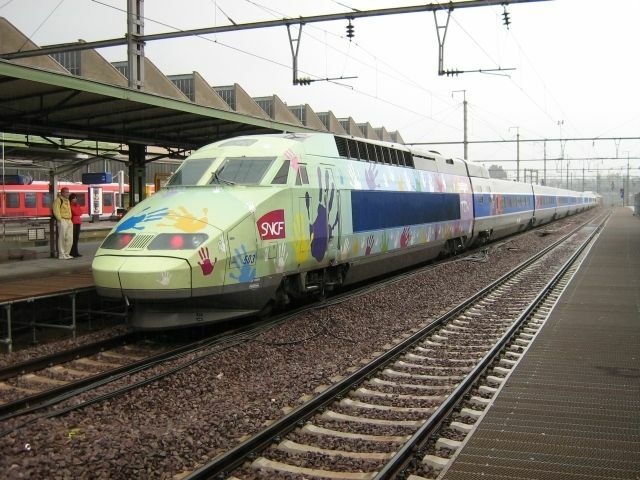 SNCF TGV n° 502 with special livery. 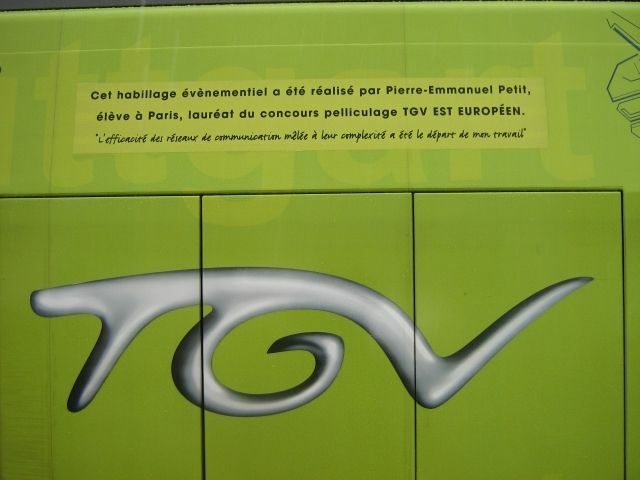 pau (64), 8/02/2003. 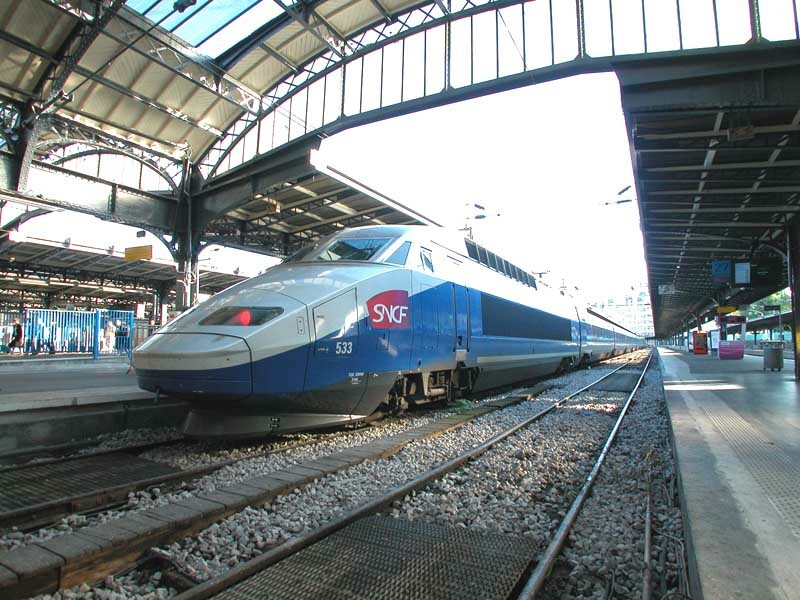 Hybrid TGV R-POS set (No 554), seen awaiting departure on TGV 2743 (Paris Est ---> Reims). 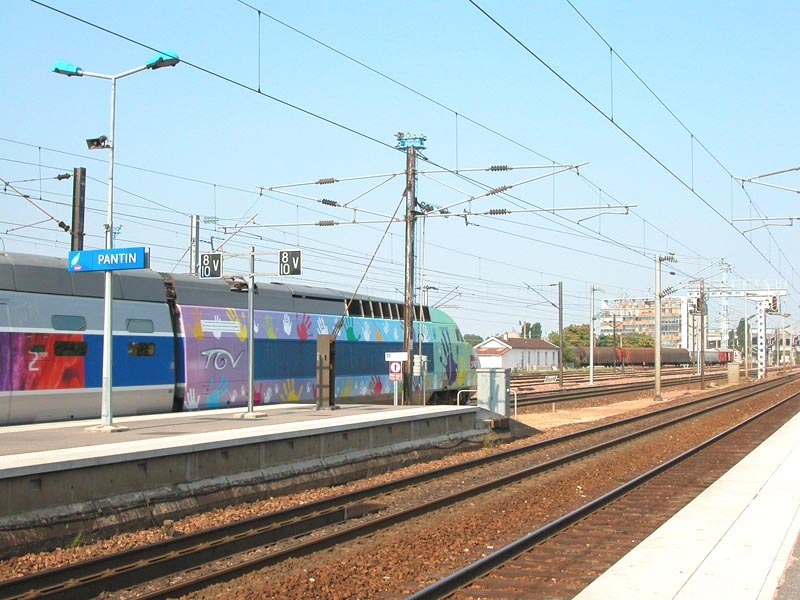 • trailers from former tri-voltage set No 4509, refurbished and fitted with magnetic brakes (end-bogies only), to be reformed with newly-built POS power-cars into TGV POS set No 4417. 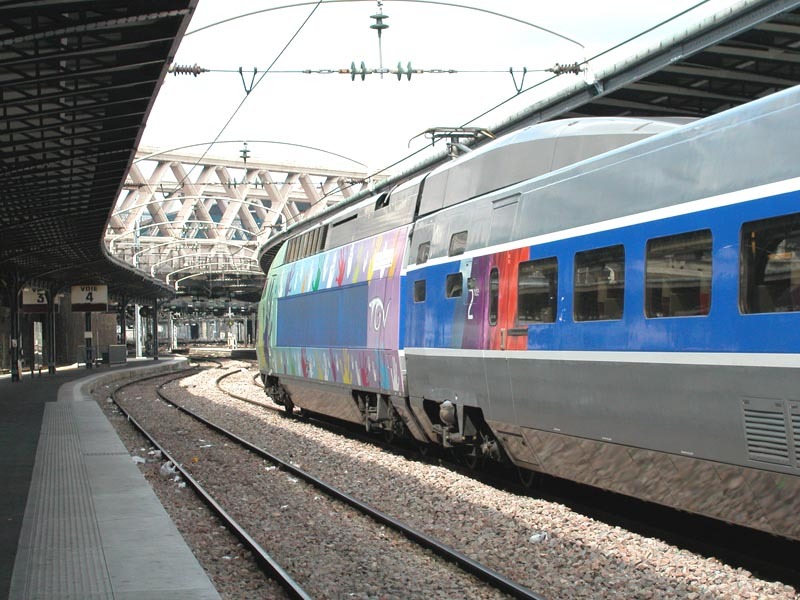 Refurbished TGV Réseau set (No 504), in special "TGV Est-Européen" livery, seen awaiting departure on TGV 2675/4 (Luxembourg Ville ---> Paris Est, running on the conventional line throughout, pending completion of LGV Est Stage 1). 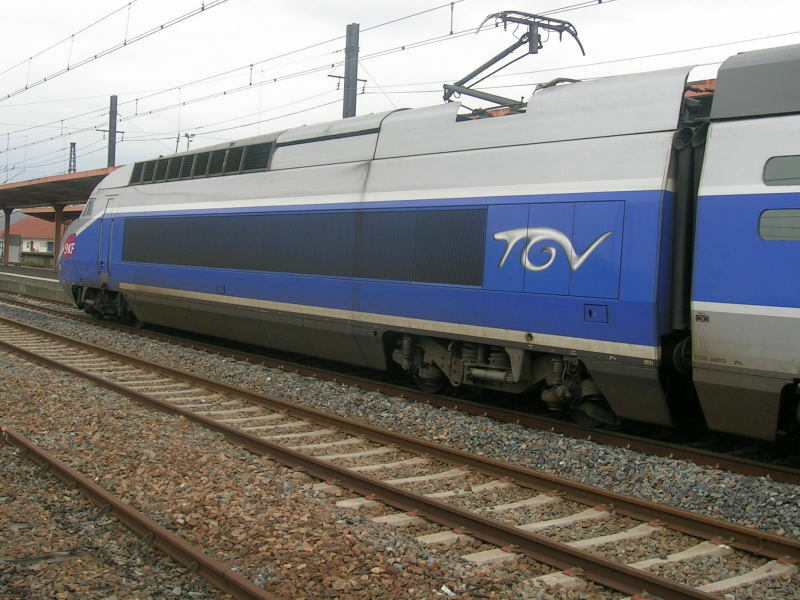 Refurbished TGV R set (No 523), seen on TGV 5187/6 (Toulouse Matabiau ---> Lille Europe, via Lyon-Part Dieu and Arras). 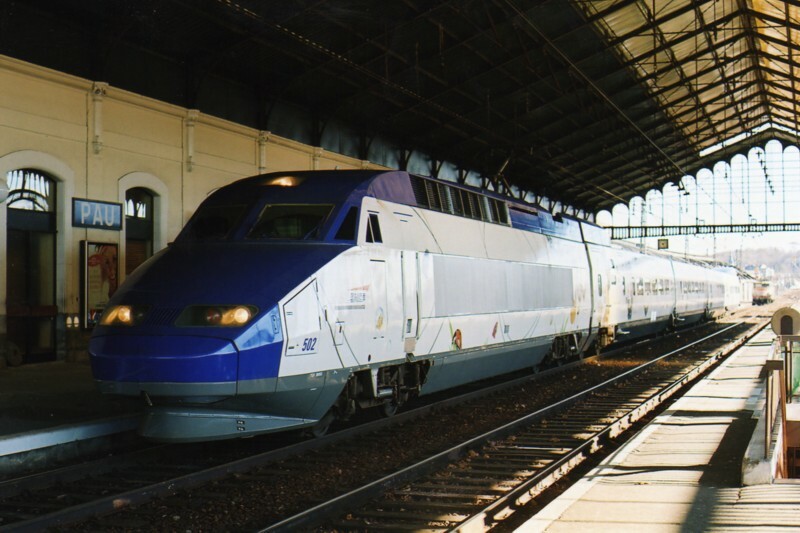 The power-car has a much thicker blue stripe, as it is to be re-formed with Duplex trailers into a TGV RD set (2007). 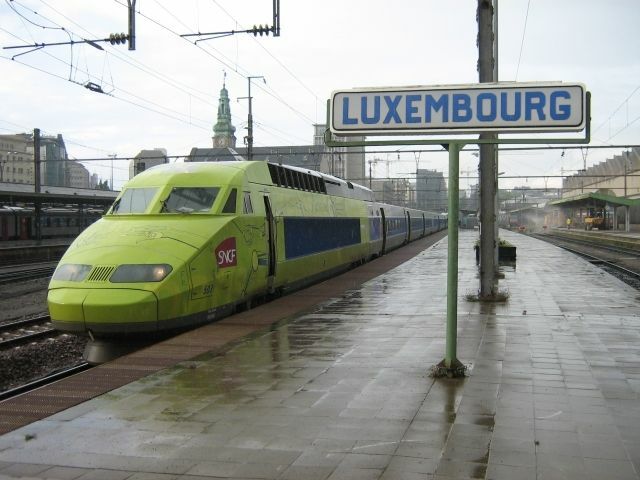 Final countdown to LGV Est. 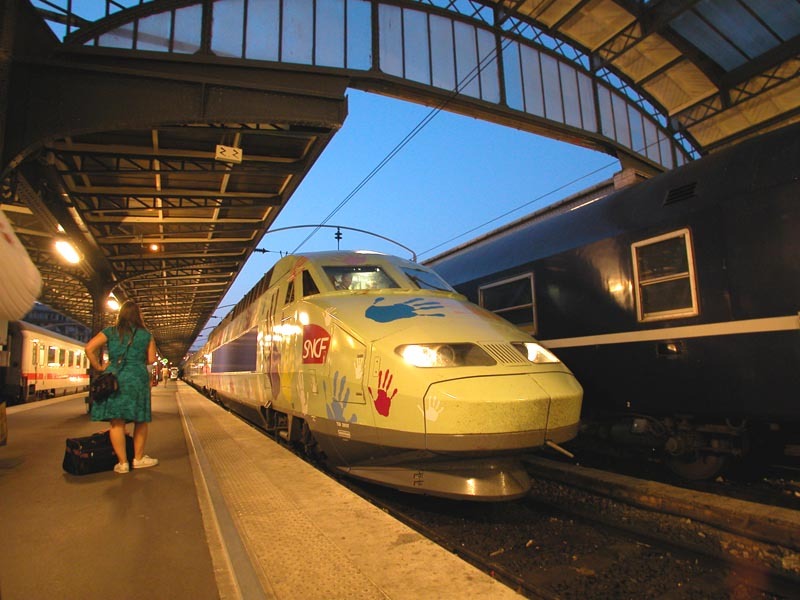 D-Day: 10th June 2007!!! 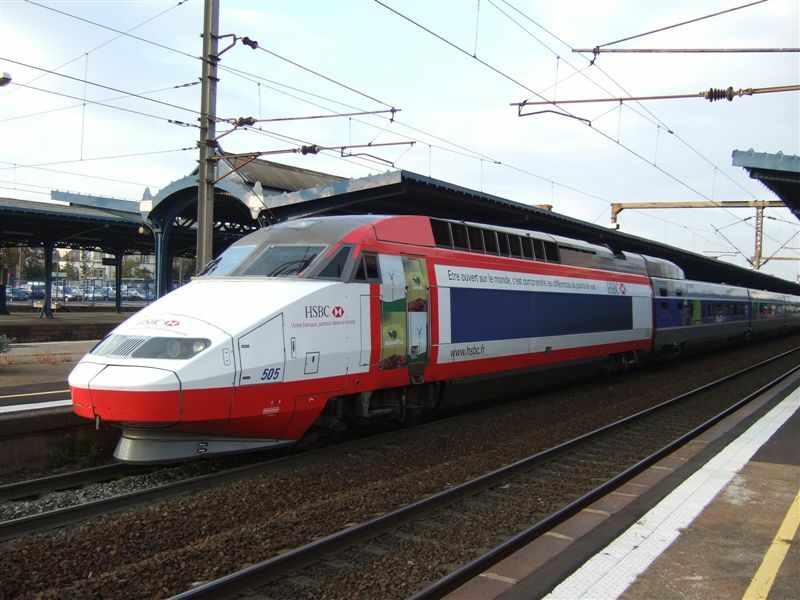 Refurbished TGV Réseau set (No 503), seen on TGV 2697/6 (Luxembourg Ville ---> Paris Est, running on the conventional line throughout, pending completion of LGV Est Stage 1). 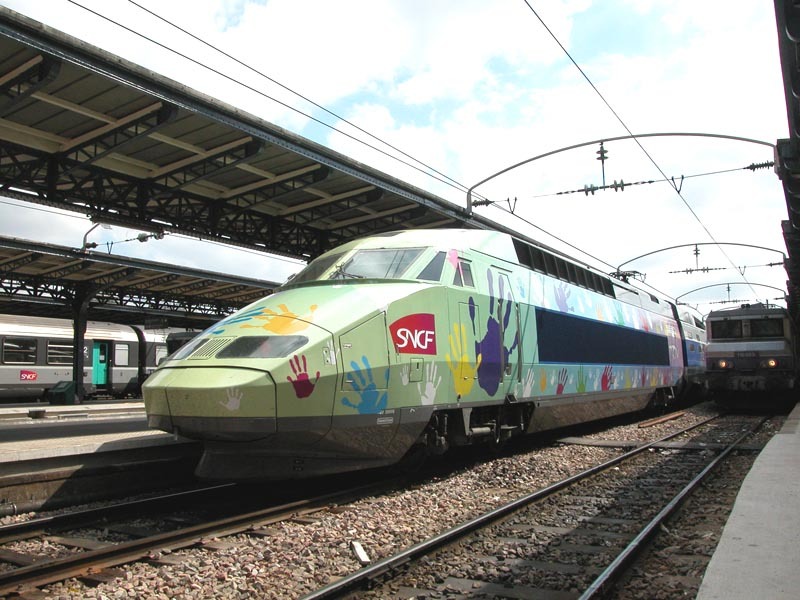 This power-car features a "TGV Est-européen" advertising livery (by Pierre-Emmanuel Petit), following a competition directed to graphic arts schools in Northeast France, Luxemburg, Southern Germany and Basle/Zurich). 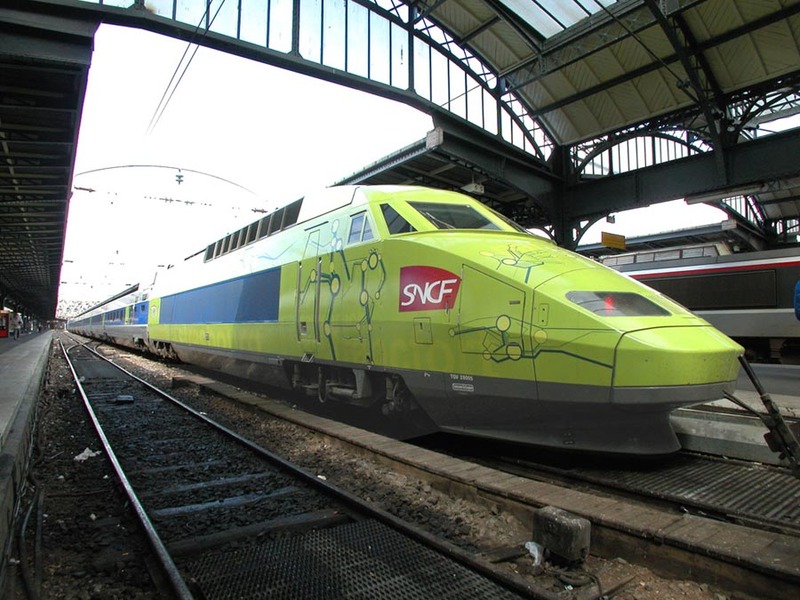 This livery will remain until the completion of the HSL. 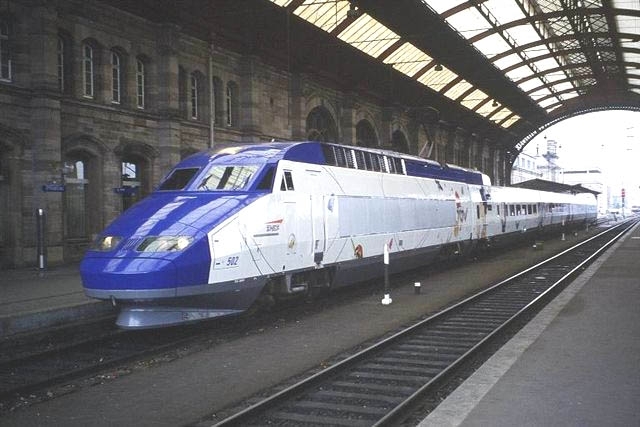 This power-car features a "TGV Est-européen" advertising livery (by Pierre-Emmanuel Petit). 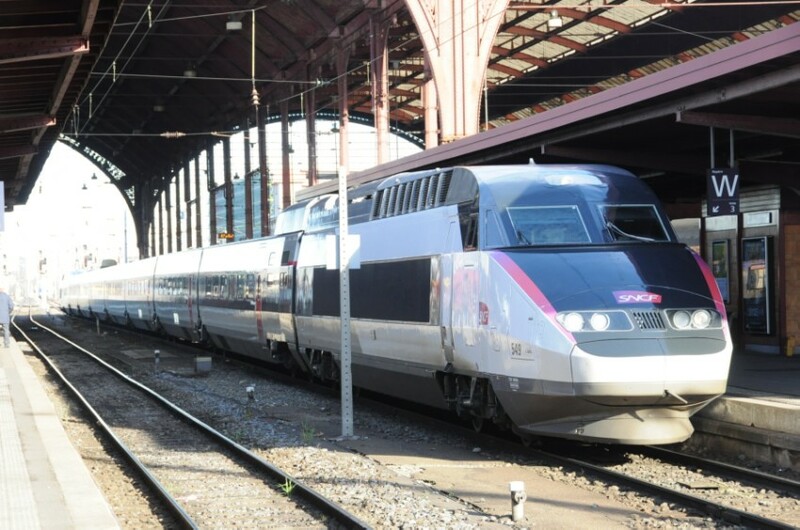 "L'efficacité des réseaux de communication mêlée à leur complexité a été le départ de mon travail". 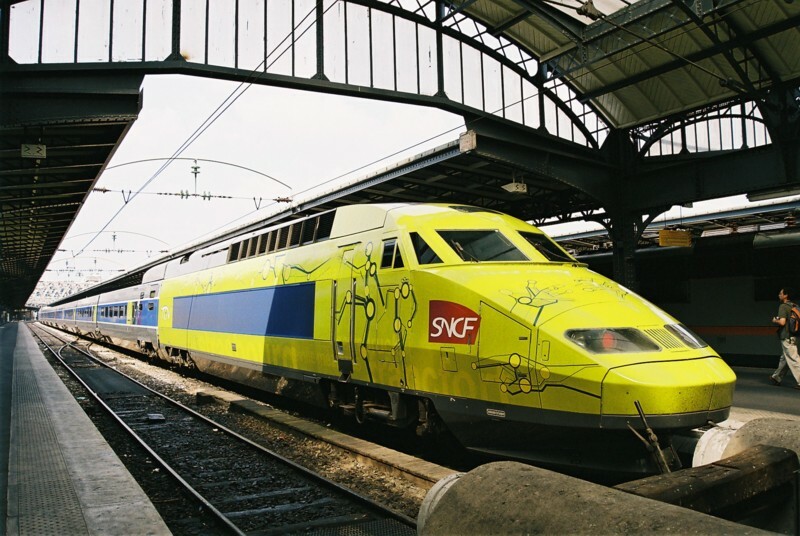 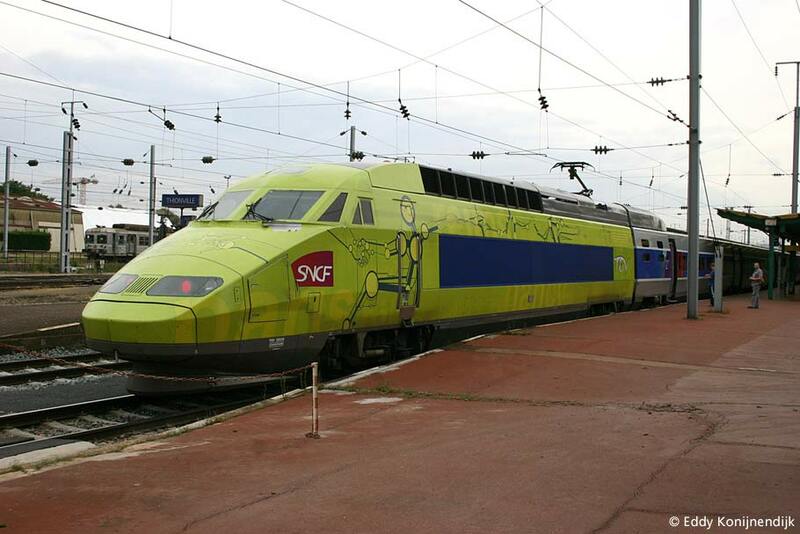 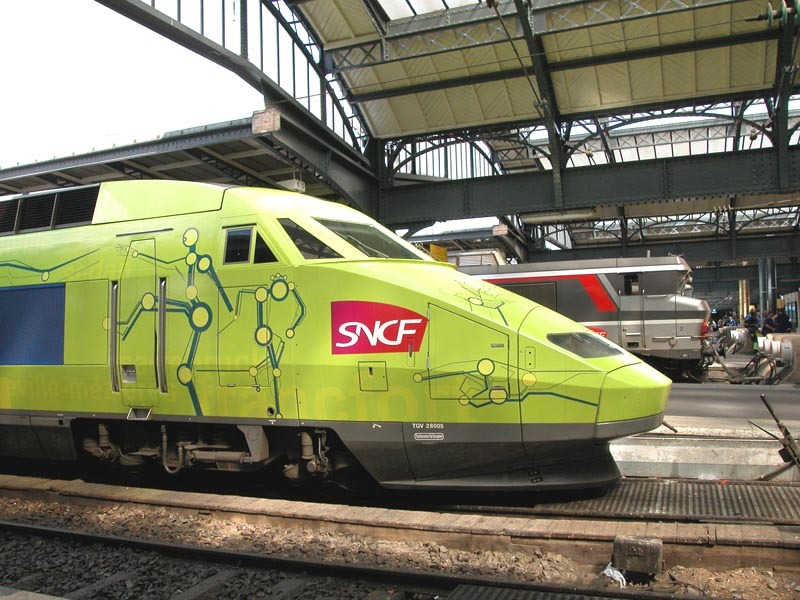 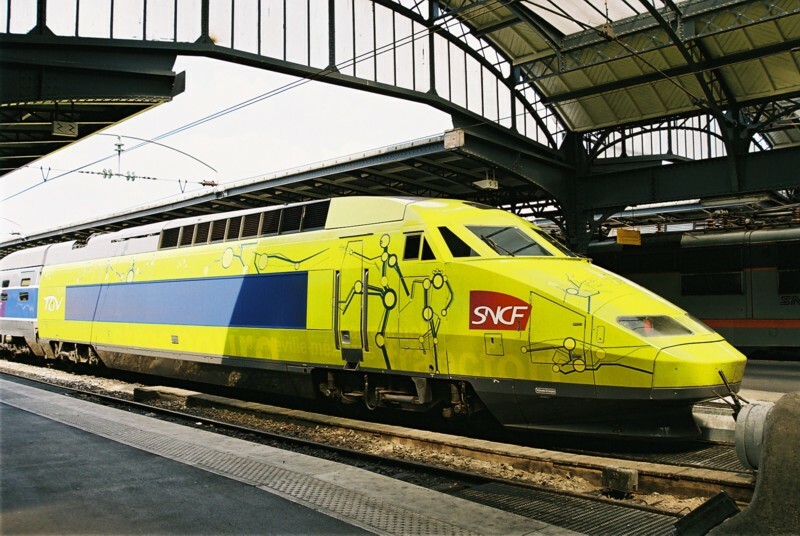 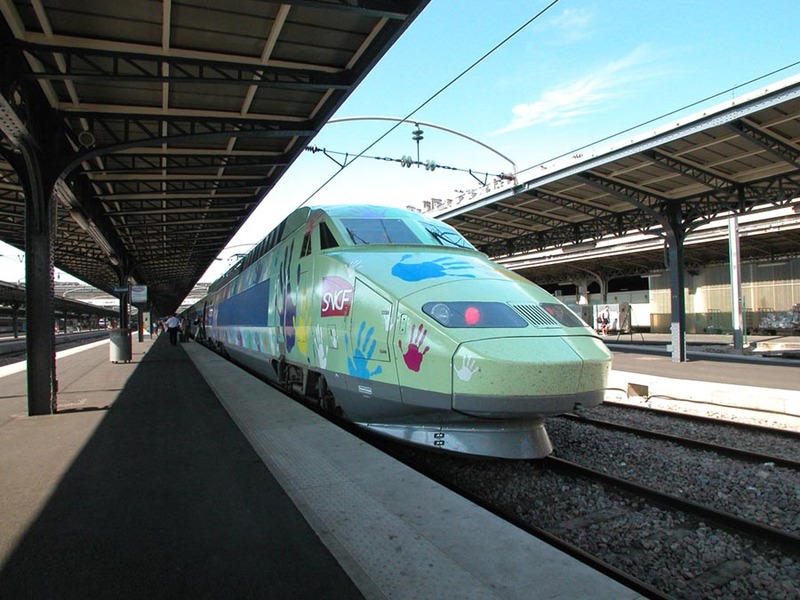 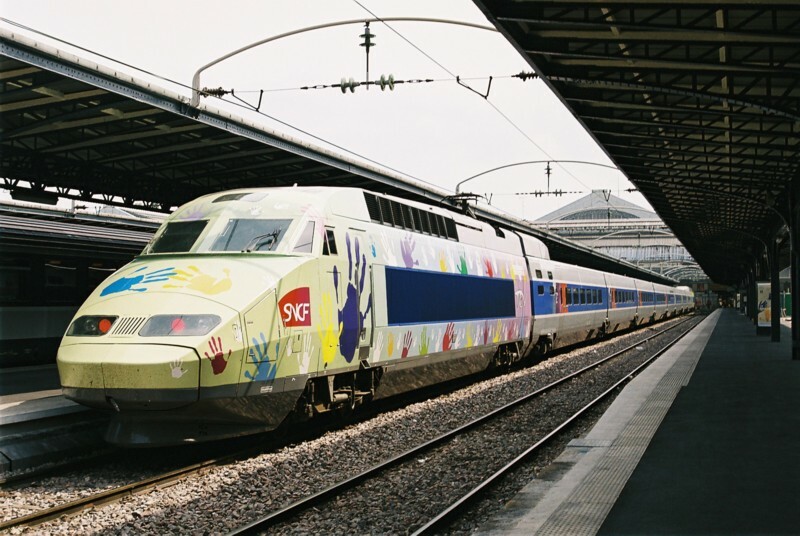 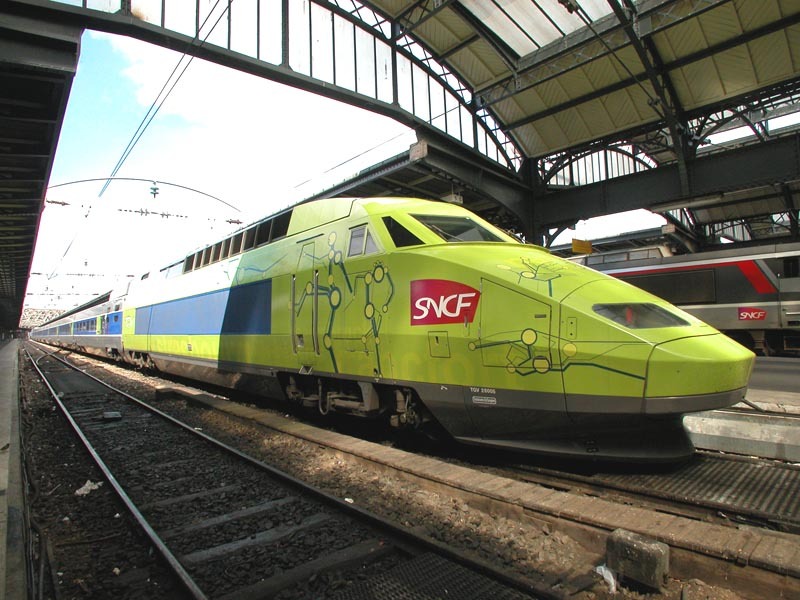 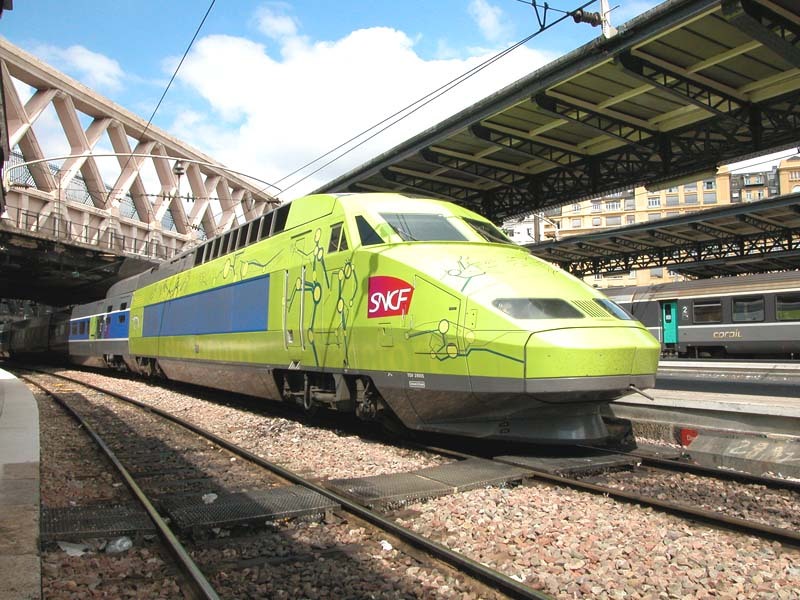 This power-car features a "TGV Est-européen" advertising livery (by Marco Müller), following a competition directed to graphic arts schools in Northeast France, Luxemburg, Southern Germany and Basle/Zurich). 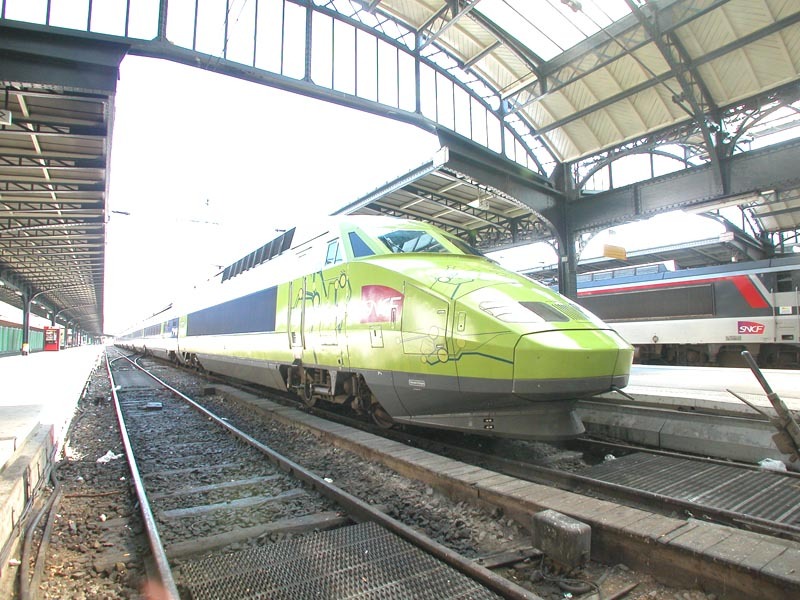 "Le TGV EST EUROPEEN, c'est pour moi le "lien humain" entre les européens des quatre nations qui les rapproche". 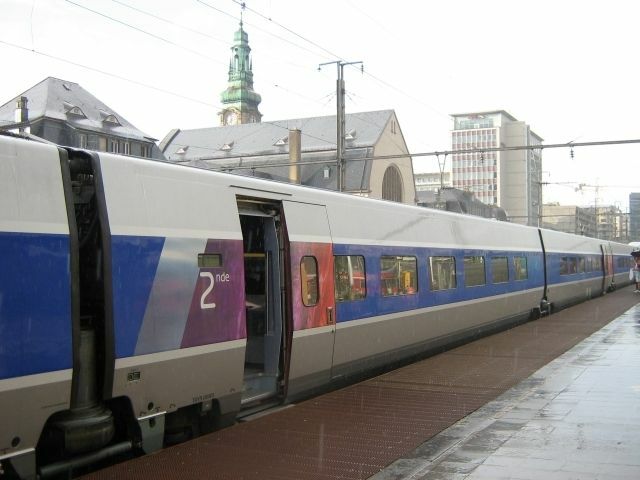 1st-class end-trailer (also features a 2nd-class bike-storage area). 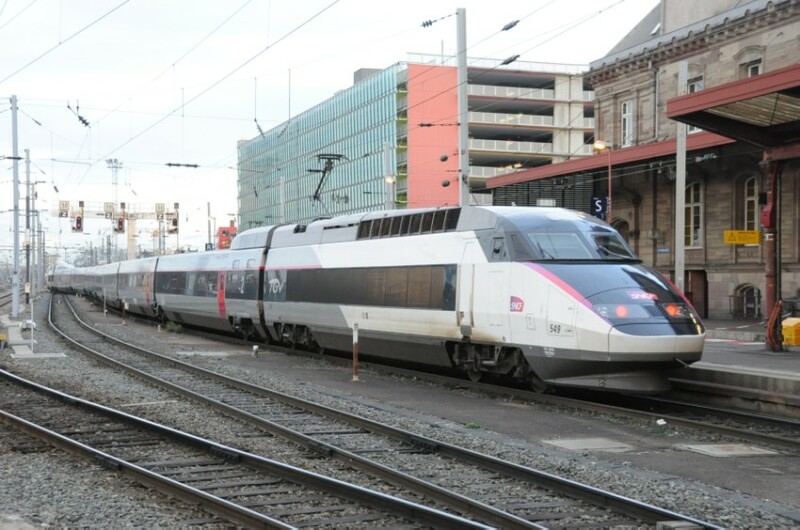 Strasbourg 29/12/2012 16H01 TGV Reseau rame 549 and TGV Sud-Est rame54. 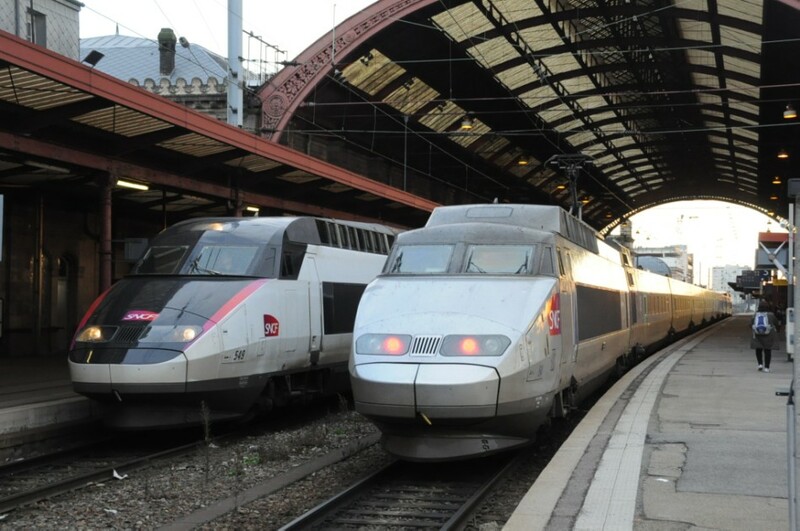 Carmillon Livery and Silver-Blue Livery. 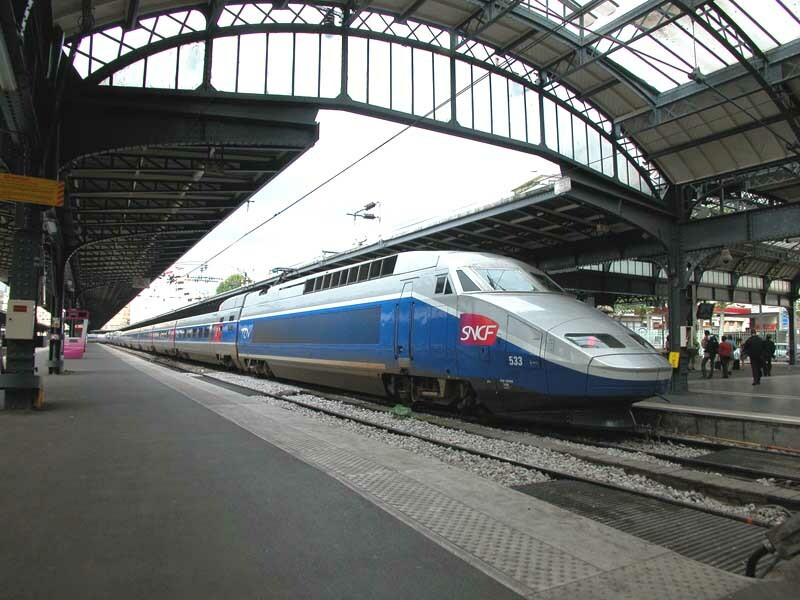 TGV549 is TGV5454 for Bordeaux St-Jean. 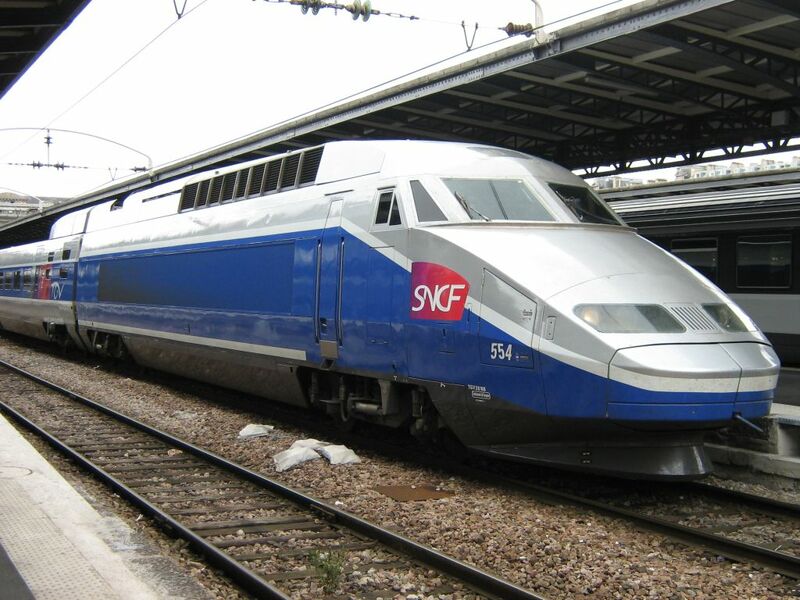 TGV54 is TGV6878 from Montpellier Saint-Roch. 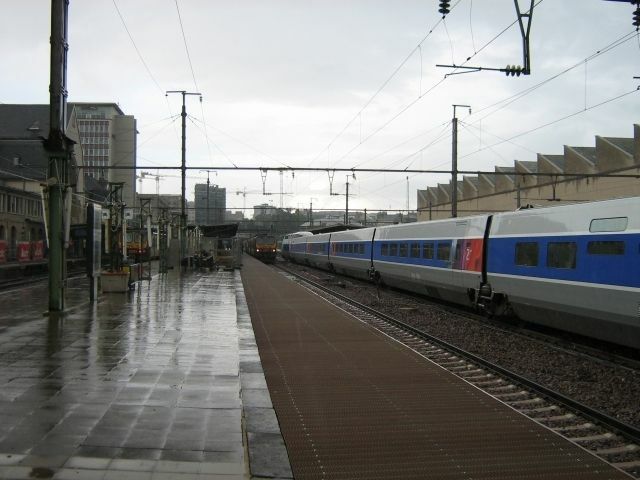 Strasbourg 29/12/2012 16H01 TGV Reseau rame 549. 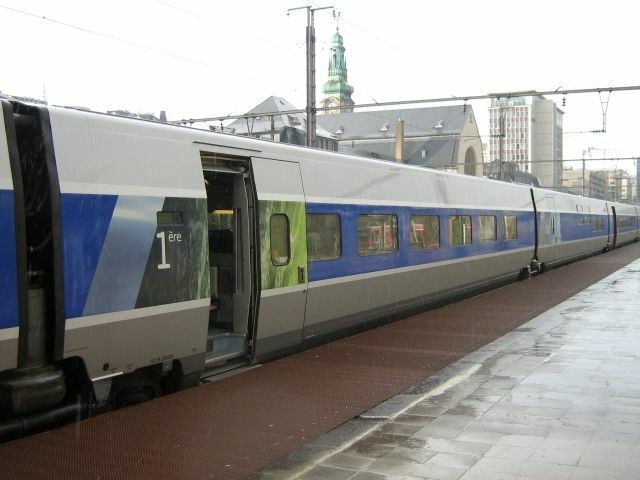 Carmillon Livery. 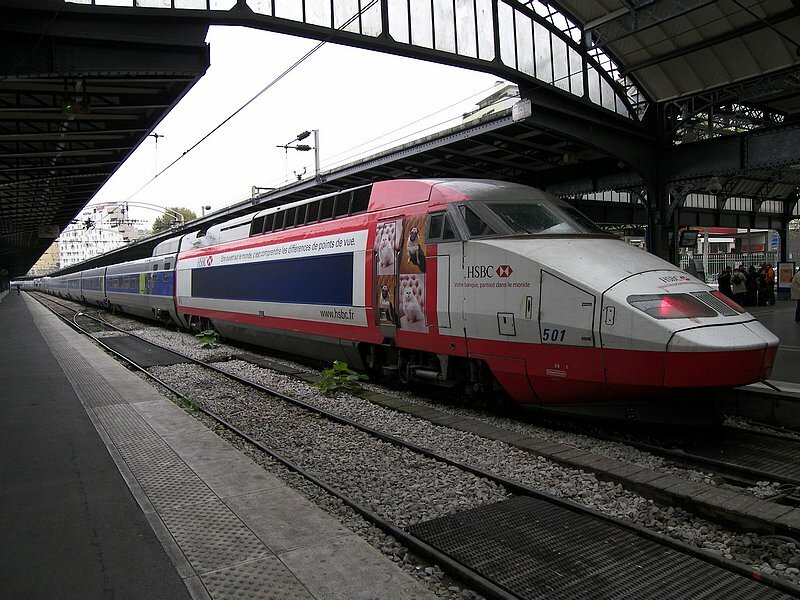 This is TGV5454 for Bordeaux St-Jean. 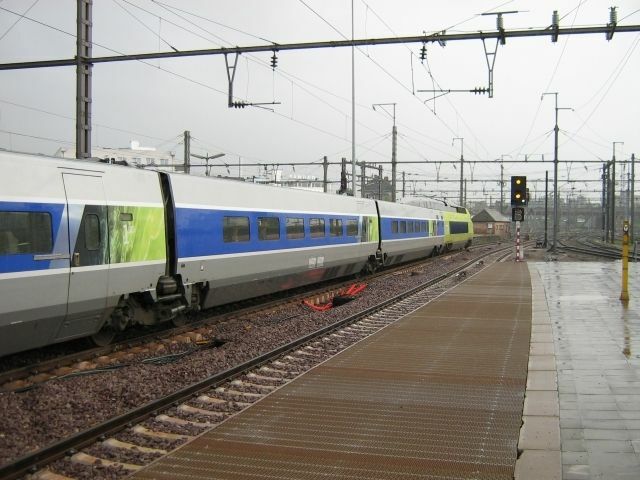 Strasbourg 29/12/2012 12H53 TGV Reseau rame 549. 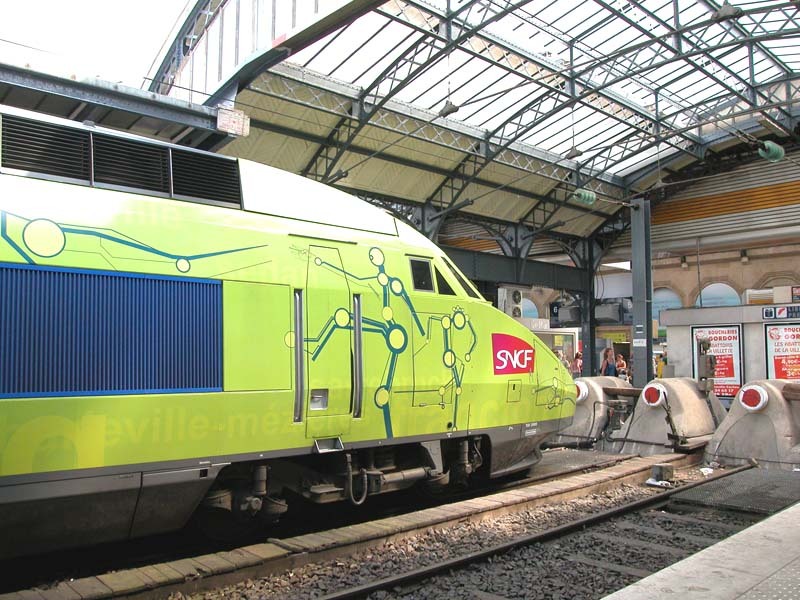 Carmillon Livery. 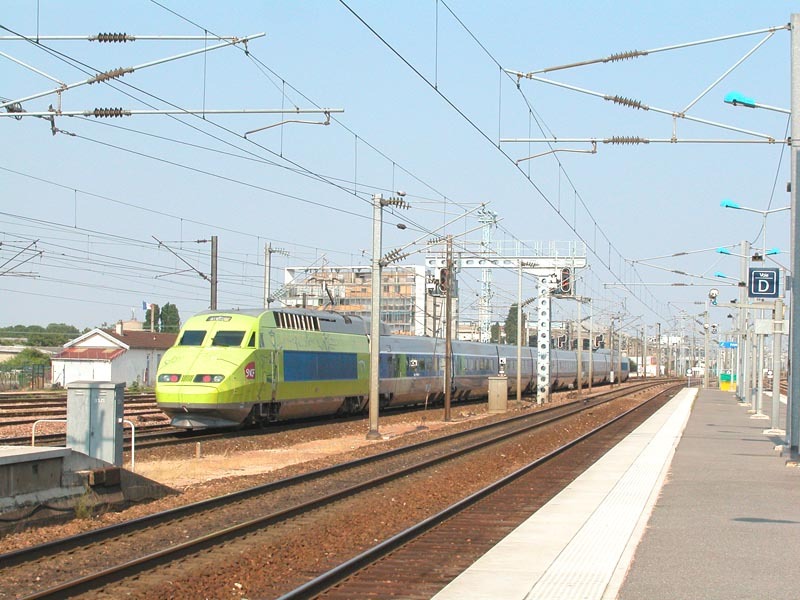 This is TGV5403 from Aeroport CDG. 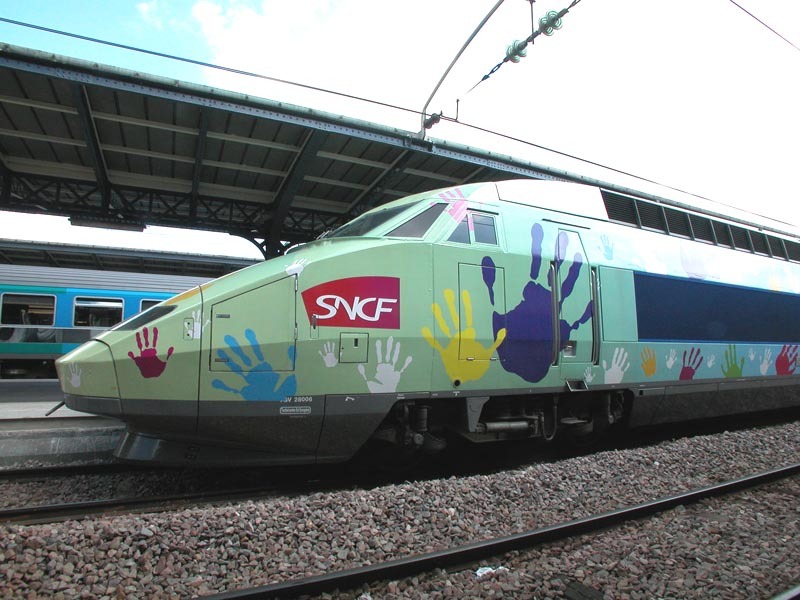 Those mock-ups were exhibited in the Northeast, the West and the Southwest from November 2002 until March 2003. 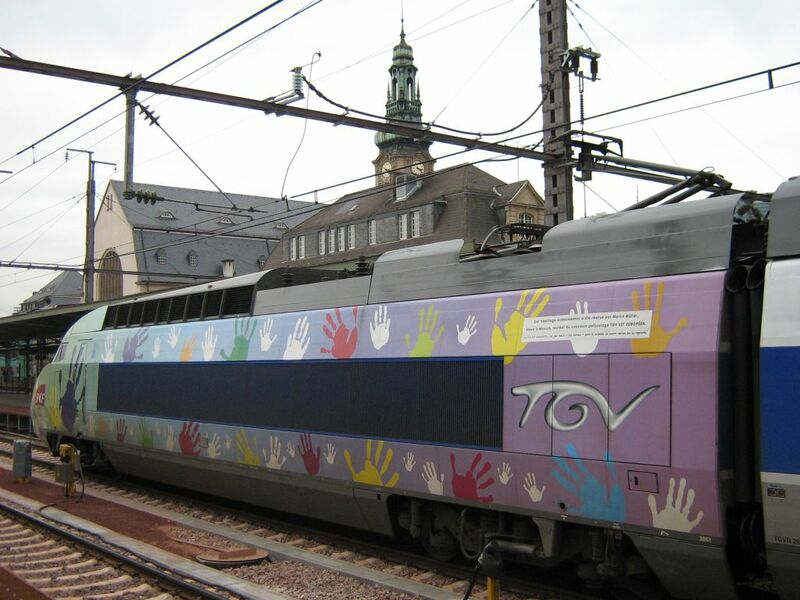 TGV set No 502 had been damaged at a level-crossing in Bierne (25th September 1997) and was withdrawn in August 1998. 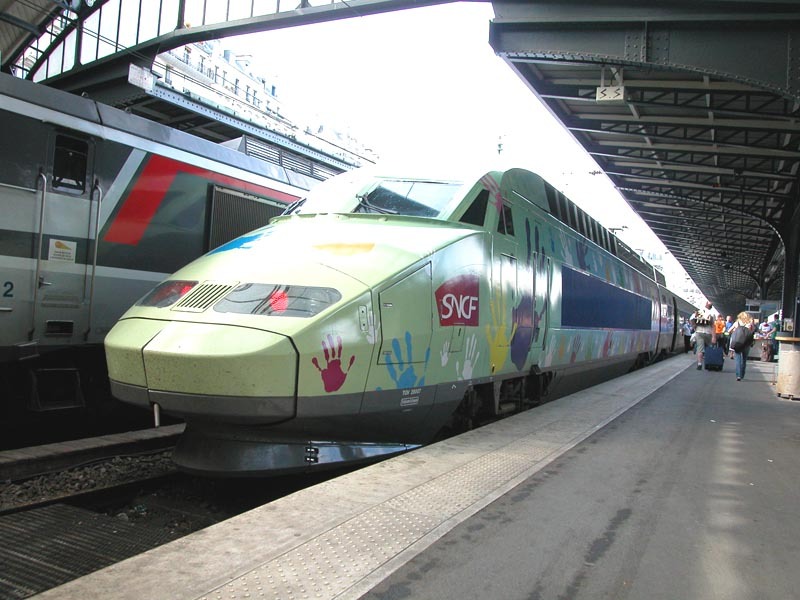 La rame Réseau 501 avec les motrices pelliculées HSBC en gare de Paris-Est, le 27 octobre 2007.